Ginger is actually a flowering plant native to Southeast Asia and has been used in traditional Chinese medicine for thousands of years. It is the rhizome, or root, which is commonly used, not just in cooking, but also as a medicinal. Most people usually associate ginger with Christmas baking - all those shortbreads, cookies, cakes, breads and pies. But did you know that it is also great thrown into smoothies. 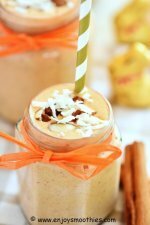 Ginger smoothies have a wonderful spicy kick to them. Ginger contains many essential nutrients and vitamins essential for good health such as pyridoxine (vitamin-6), pantothenic acid (vitamin-5) as well as vitamins C and E. It is also high in minerals such as potassium, magnesium, copper and manganese. Has a similar blood-thinning effect on blood clots as aspirin. It is well known as an anti-nausea aid and is often taken for motion sickness or to reduce morning sickness during pregnancy. It is also a natural aid to digestion. By stimulating the blood flow to the digestive system it increases the absorption of nutrients. It increases the action of the gallbladder while protecting the liver from toxins thus preventing the formation of ulcers. Its anti-inflammatory properties can help relieve the symptoms of painful arthritis. Ginger is not recommended for people suffering from kidney disease. 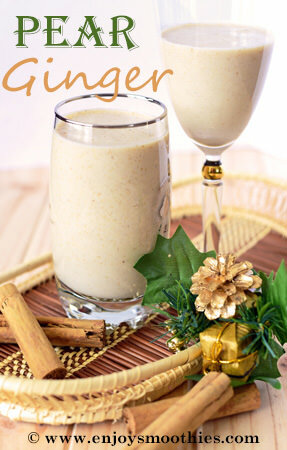 If using in smoothies, it is highly recommended that you use the root and not powdered ginger. There is simply no comparison in taste. Cut one ½ inch (1 cm) slice of fresh ginger root , peel off the skin, then either grate using a microplane grater or chop into 3 or 4 pieces before adding to your blender. Ginger complements many fruits, from bananas, citrus to tropical fruits such as mango and pineapple. 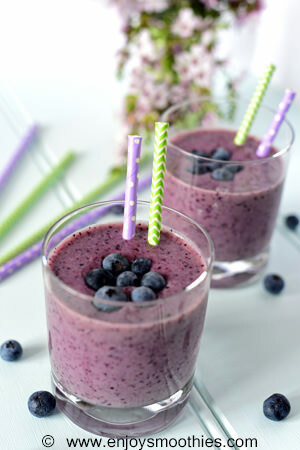 In a blender, combine the frozen blueberries, banana, almond milk and fresh ginger. Blend on high until all the ingredients are smooth. 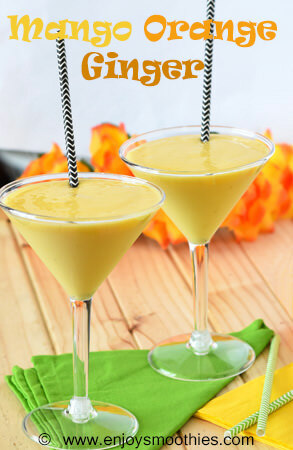 Combine the frozen mango chunks, banana, orange juice, yogurt and fresh ginger in a blender. Start at low, then turn to high and blender until all the ingredients are smooth. 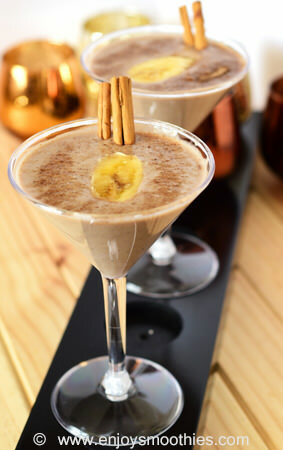 Add the bananas, almond milk, ginger, cinnamon, cardamom, cloves, nutmeg and vanilla to your blender. 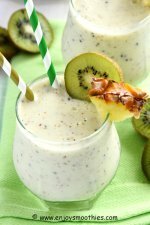 Blitz on high until all the ingredients are well blended and your smoothie is thick and creamy. Chop the pear and remove the core. Add to the blender, along with the yogurt, coconut milk, cinnamon, vanilla and ginger. 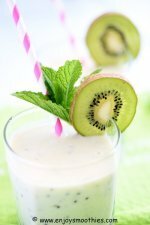 Turn your blender on and blitz all the ingredients together until they are smooth and creamy.